Thursday, January 28, 2016 4:15 pm. Updated Aug. 1, 2016 - Torch raise now totals $825K. June 7 - Torch won the 36|86 $50K cash award. 25 May 2016 - Torch gets nod at Baker Donelson pitch event here. 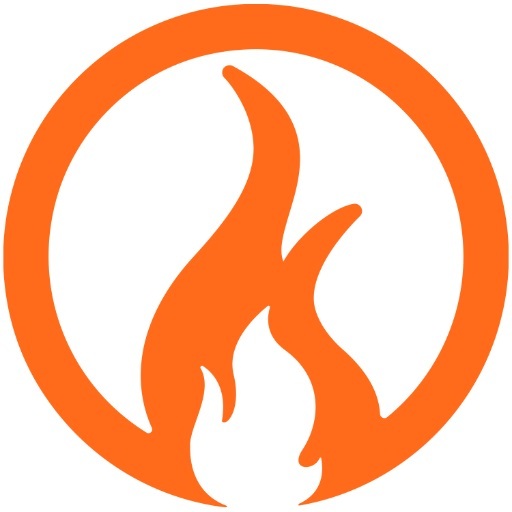 13 April 2016 - Confirmed TORCH recently received a $200K INCITE match. 1 April 2016 - Vesta reported today it has raised $650K toward its $1.2MM goal.-Ed. VESTA Technology is raising fresh capital to fund its race for brand leadership for its TORCH Wi-Fi router for parents determined to manage and "curate" children's access to Internet content. Chattanooga-based VESTA is now working to raise about $1.2MM bridge capital for TORCH. 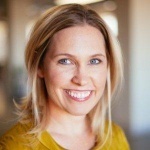 This autumn, its Series A round is likely to seek "north of" $3MM, said Shelley Prevost, the startup's CEO and co-founder. Prevost confirmed that the company has raised about $675K toward the current bridge target. The effort is an extension of its earlier successful $2MM Seed raise. Prevost said she is also working to secure Tennessee INCITE co-investment via LaunchTN. She and some of her team spent time in Nashville this week, meeting with executives at Nashville Capital Network, Pathway Lending and others, she noted. Prevost said that, whatever the sources of funding, "Whoever raises money the fastest will win this race in the next 18 months." The company's recent success in registering the TORCH trademark was particularly important, given that TORCH's nonproprietary router is built upon OpenWRT, a technology in the public domain, augmented by features created in-house. Thus, said Prevost, the most important TORCH intellectual property resides in its customer-service processes, its user interface (UX) and its TORCH brand. Prevost said she is pursuing category leadership, across the board. During a team interview with Venture Tennessee, Prevost, CXO Wayne Fullam, who's focused on customer experience, and Chief Marketing/Creative Officer Vann Graves made clear that building a freestanding consumer brand in the category with dominant mindshare is vitally important. Proceeds from the current bridge raise will be dedicated mainly to marketing, brand management, expanding router inventory, and some Web-app and firmware development, said the CEO. E-commerce via the TORCH website will be its primary marketing tool. Social media including Facebook and influential bloggers will be among priority marcom targets. Other operational emphases this year include recruitment of strong distribution partners. Over the horizon, the company plans to enlist third-party retailers and partners in other channels, including perhaps the likes of QVC, said Prevost. About 50 users are now engaged in TORCH's private beta, including 10 in VESTA's home market, the Chattanooga area. The beta ends this quarter, and shipments into the market are to begin in early 2Q16. 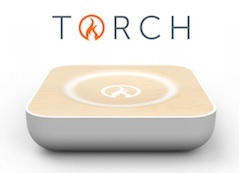 Currently available for iOS and Web-browser users, TORCH is compatible with Wi-Fi enabled PC, iPad, xBox, Roku, Apple TV, Sonos or Nest, according to its website. Early market feedback and targeted demographics have thus far made iOS development a priority, with Android likely to be a later focus, Prevost said. Asked about a reasonable breakeven timeline, Prevost said current volume projections, with the router retailing in the $150-$200 range, as well as help/concierge subscription revenue, suggest breakeven-or-better is doable by late-2018. She said that the owners are also well aware of opportunities to sell into both corporate and K12 education markets, but those targets are currently deferred. Asked about exit options, Prevost said it's too early to assign too much weight to that topic, but acknowledged that the notion of an eventual sale to a large Internet Services Provider (ISP), such as multisystem operator Comcast, or to a largish hardware company, such as router manufacturer Falcon, could be among logical outcomes. 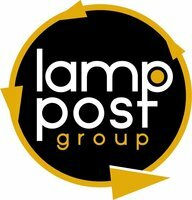 The $2MM in original Seed came from Lamp Post Group, where both Prevost and COO Jack Studer are co-founders. Prevost is Lamp Post managing partner. In Fall 2015, TORCH's successful Kickstarter campaign attracted $163K. Asked about competitors, Prevost cited Circle Media (a Disney partner in Portland, Ore.), Koala Safe (Sydney, San Francisco) and Luma (Atlanta). VTC research suggested current or eventual entrants could include OurPact, Qustodio, WebWatcher, McAfee (direct and via its SafeEyes acquisition) and NetNanny (Content Watch), among numerous others. VESTA/TORCH's CTO is Peter Van De Put and its Hardware Designer is Jake Brown. Prevost and her husband have three children, ages 13 and under. In addition to being a principal in Lamp Post Group, she is a partner in Chattanooga-based The Jump Fund, which invests in women-led businesses. She earned a Ed.D. in counseling psychology at Argosy University, and a Master's in clinical psychology at Wheaton College. Ted Alling and Barry Large, respectively, serve as advisor and CFO for the startup. The two men were co-founders of Chattanooga-based Access America Transport, which they and other owners famously exited in 2014. Miller & Martin attorney Roddy Bailey provides legal counsel. A commercial bank has not been chosen for the startup. Lasted edited 4:59pm 28 January 2016.